Andra Johnson was used to loud singing, hand-clapping, foot-stomping music about Jesus Christ and hugging his brothers and sisters. However, when he joined The Church of Jesus Christ of Latter-day Saints at age 14, it was a little difficult to settle in. According to Johnson, the professional culture of the church was drastically different from his Baptist background. Plus, he was one of a few black members in his new congregation. He got used to being one of a few and not seeing his own culture in the church. That all changed for Johnson a few months ago during the church’s “Be One” 40th Anniversary Celebration. The event commemorated the 1978 lifting of the ban prohibiting members of African descent from holding the priesthood or participating in temple ordinances. Johnson said the experience was life-changing. 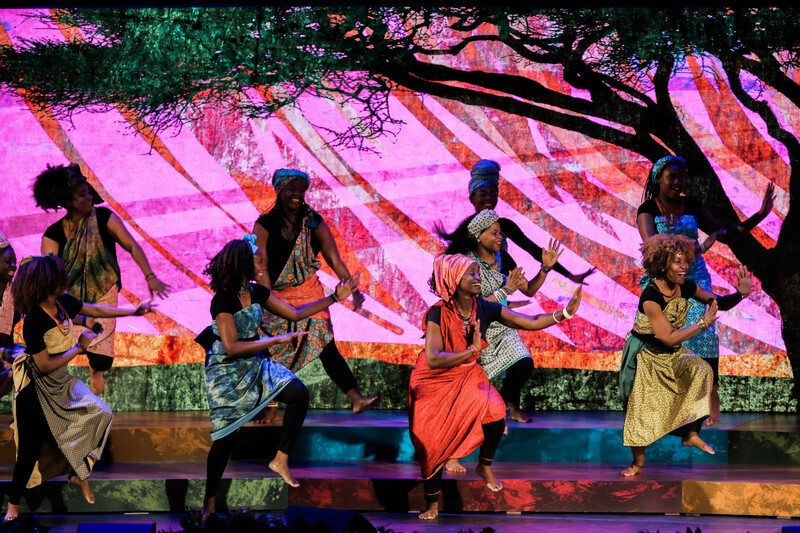 The “Be One” celebration and similar events, such as the church’s partnership with the National Association for the Advancement of Colored People (NAACP), have signaled to Latter-day Saints and friends of the church that the church is moving into a new era: one that embraces a more inclusive and diverse definition of what it means to be a member of the church. Despite what Johnson is calling progress, he agrees the church has a long way to go before the sting of racism is completely eradicated in the church and all feel comfortable and accepted. Racism in the church isn’t always explicit. For Johnson, racism comes in more subtle forms, like not feeling represented in the church. Johnson pointed out that in the 40 years since the church lifted the ban, it has yet to call an African-American apostle. Recently, the church came a little bit closer to making Johnson’s dream a reality. The church recently called its first Asian-American and first Latin-American apostles: Elder Gerrit W. Gong and Elder Ulisses Soares, respectively. For members of color, this diversification in church leadership opened the door to a wider definition of what it means to be a Latter-day Saint. Ignacio Garcia, a Mexican member and BYU professor of Western and Latino history, said many Caucasian members simply didn’t grasp the importance of the “Be One” event. García said the event was “liberating for so many people” because it allowed many members to see themselves in the church in a way they couldn’t before. However, a racially diverse church leadership may be a far way off. According to information on the church’s website, 13 percent of the church’s First Presidency and Quorum of the Twelve Apostles are not American — a small number considering 58 percent of church membership is comprised of individuals outside of the United States. Paul Reeve, a professor of Mormon Studies at the University of Utah and the author of “Religion of a Different Color: Race and the Mormon Struggle for Whiteness,” said he believes the disparity between membership demographics and those of church leadership is concerning. “When the leadership is mainly composed of white men from the Wasatch Front, their experiences are very different and distinct from what it means to grow up in Africa or the Philippines — two of the church’s largest growing areas in the 21st century,” Reeve said. According to Reeve, to fully embrace a more diverse identity, there needs to be a fundamental change in how Latter-day Saints view other members of the church. “(We need to) step away from the notion that living Mormonism is looking like and thinking like someone who lives along the Wasatch front and recognizing that there is more than one way to be a Mormon,” Reeve said. For some, that dream seems a long way off despite recent progress. Esperandieu Anofils, a Haitian member of the church who immigrated to the United States as a child, said he believes many American members of the church fail to realize the large international presence of the church. García, who wrote the book “Chicano While Mormon: Activism, War, and Keeping the Faith,” said he has seen how preconceived notions can negatively affect minority members. “After a while, you want to be known for more than you can sing, dance and cook,” García said. While García said he believes most white members don’t mean to be hurtful, minority members are still harmed by these cultural and racial misunderstandings. “You realize it traps you into being whatever the perception is,” García said, adding that many members are left to deal with the struggle leaders have to overcome preexisting prejudices. Despite these and other obstacles, García said he is hopeful. Sydnee is a reporter for The Daily Universe. She is majoring in Communications with an emphasis in News Media and a minor in Spanish.